There’s a rhythm in the way Paolo Luigi Balinas goes through his work week. On Monday and Tuesday mornings, he’s usually occupied with company meetings, presenting his extensive status reports and sales targets to a room full of colleagues sporting their corporate attire. From Wednesday to Friday, he’s often out of his Makati office to meet with his company’s partners and clients, discussing ways on how to better their business relationships together. Towards the end of the week, he closes deals with his tech clients, who provide development solutions to different educational institutions across the country. Such is the life of Paolo as a business development manager for education at Microsoft Philippines, a set of familiar undertakings that make up a definition of a promising job in the corporate world. But in between the shuffling of paper reports at his desk and all the handshaking with his institutional partners elsewhere, Paolo dreams of becoming an entrepreneur. 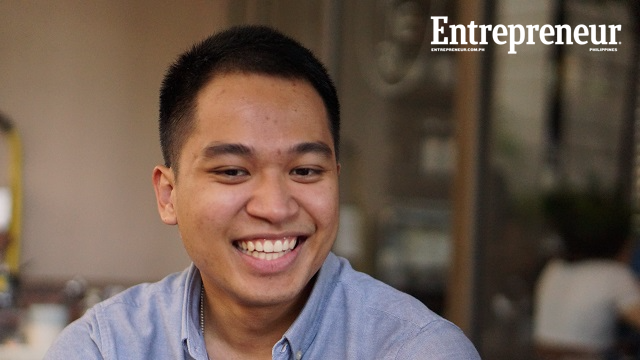 Paolo knows by heart that the road to entrepreneurial success requires some luck and a lot of hard work. While the former gets one ahead of the game, he believes it’s the latter that determines how an entrepreneur keeps his or her business on top. Although luck and luxury may not have always been on his side, Paolo is certainly no stranger to hard work. Even as early as college, when a financial crisis hit his family, he pushed himself to do a number of part-time jobs to pay his tuition fees and daily expenses. There’s a reason to all the misfortune, Paolo believes. He said his financial struggle only strengthened his foundation on sales, which helped him tremendously when he landed on his first corporate job at San Miguel Corporation, before joining Microsoft Philippines. Although Paolo may trail behind some people who’ve made the jump to build their own businesses immediately after college, Paolo knows the merits of working hard in the corporate world won’t go to waste when he puts up his own business in the near future. 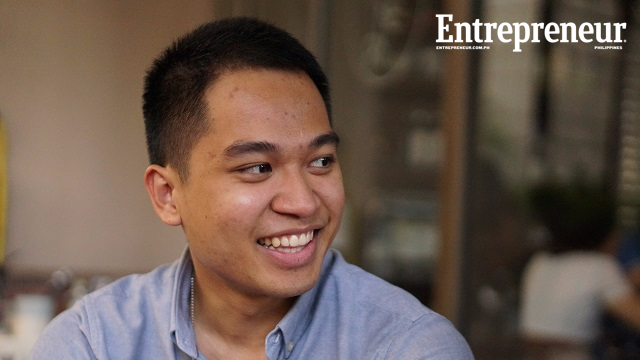 As he inches closer to his entrepreneurial dream, Paolo shares three valuable things he has obtained from his corporate job, which he believes will be important in becoming a successful entrepreneur. “[I think the] discipline that big corporations instill in you is important,” Paolo says. “You learn from the corporation’s processes and how things are done in a certain way,” he added. Paolo said that discipline goes beyond beating report deadlines and being punctual at work. To him, being disciplined is also about productivity and managing things in a committed way. He shared that the corporate environment has helped him in accomplishing tasks with a sense of order. He argued that discipline pushes a person to move forward regardless of the struggles he or she may face at the start of a business. Being in the corporate world, he said, makes one aware of certain boundaries in the workplace. These boundaries then make a person take every action with a sense of control in making day-to-day decisions, both big and small. Paolo knows the worth of people when one delves into entrepreneurship. And his experiences in the corporate world has done him nothing but good in expanding his network. “Through my work, I get to travel a lot and even deliver talks. I meet a lot of industry leaders,” Paolo said. He said his work has allowed him to meet different people, creating the fundamentals of potential business relationships. While venues for entrepreneurial networking are available in many places, Paolo asserts that his work has allowed him to regularly meet professionals coming from different disciplines, all of whom can become sources of inspiration or the next big opportunity. Further, he said his credibility gets bolstered through his growing network, which is important in providing entrepreneurial value to others with his work background on technology and education. Lastly, Paolo believes that one big advantage of going corporate first is being able to save money, no matter how clichéd it may sound. Paolo said he wants to be financially independent when he puts up his own business. While his corporate job isn’t close to an enterprise of his own making, it still provides him a steady source of income to make such a dream happen in the future. The stars seem to align themselves for Paolo. “My past and present work experiences are in line with my plans,” Paolo said. “What I’m doing now is readying me for my long-term goals,” he added. He shared that his corporate job allows him to hit two birds with one stone. For one, his stint at Microsoft Philippines allows him to combine two things he is very passionate about: education and technology. Second, he reaps the benefits of wearing a corporate hat, such as instilling self-discipline and network-building, just before he makes the leap for his first big business. During the day, he stays true to the beat of his work, may it be behind his desk in one of the high-rise buildings along Ayala Avenue, or on stage, whenever he delivers a speech to a sea of high school students. But at night, Paolo holds on to his aspirations of setting up his own business very soon. He plans on having a business in technology, education, health care or food. He's been working with his sister to put up a school for young children. Paolo sees education as an ideal business area because he believes it's truly a good investment for everyone, and rendering service through education imparts a product that cannot be "taken away' from a person. Education is close to his heart as well, since it was his college education that got him through life after financial challenges hit his family. 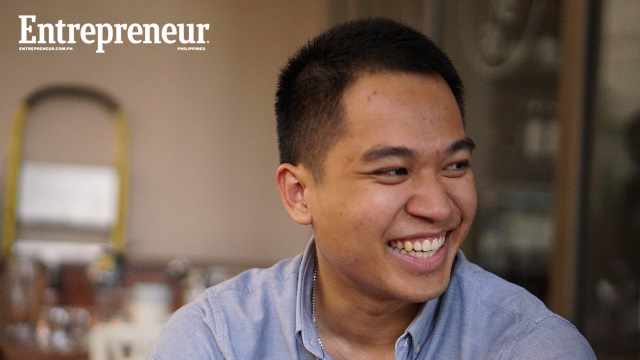 When asked about what lures him to entrepreneurship, Paolo only gives off a smile and says he likes finding solutions. John Patrick Allanegui is the managing editor of Verstehen, a publication based in the Department of Sociology and Anthropology of the Ateneo de Manila University. His works have appeared in Esquire Philippines, GMA News, Philippine Daily Inquirer and SunStar, among others. He tweets at @JohnAllanegui.